Moving house is among the most strenuous projects that a regular person can take on. There are many things that one needs to consider when planning and preparing for a relocation. Keeping your precious personal items, furniture and appliances safe while they are being transported from point A to point B should be among your top priorities, but that does not mean that you need to worry about it too much. All you need to do is take a few simple but effective precautionary steps and everything is going to be okay. Remember to pack one room at a time in order to be able to keep track of the progress you are making. Another good thing that you can do is to reduce the volume and quantity of the items to be packed by carrying out a house clearance on the premises and throwing away unnecessary items of clothing, furniture and other unwanted objects. Signing up for a reputable moving service delivered by proven professionals will provide you with a lot of peace of mind while you are moving houses. Search for the best professional home removal firm in London, to make sure that you have every aspect of your relocation project covered. One of the best things about having a reliable relocation company to fall back on is that whenever there is a problem or confusion, you can call them and count on their trusted assistance for every stage of your move. Goods in Transit Insurance is a great thing to have, even just as a safety net. 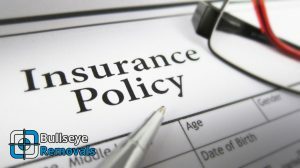 With it, you can rest assured that even if the worst happens and some of your items get damaged during transportation, you will be reimbursed. Remember that the more you worry the more likely you are to make a mistake that will lead to an unpleasant accident or which may stretch your budget beyond recognition. Make sure to keep your cool throughout every stage of the process, and if the stress gets too much, just stop and try to relax. Talk to a friend or get them to lend you a hand with the preparations – we are sure that they will be more than happy to assist you and make your life a little easier and your relocation a little smoother.